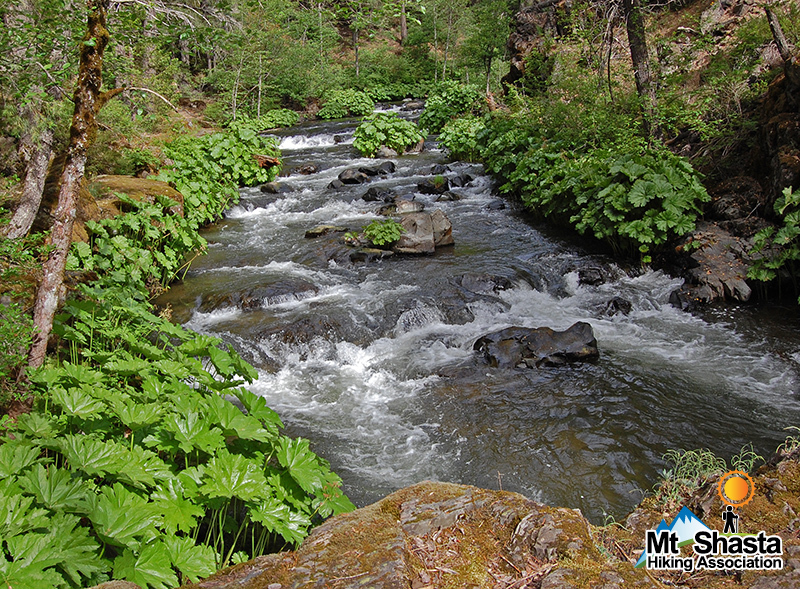 Splendid Squaw Valley Creek frolics down its canyon overhung by giant-leaved Darmera. There is poison oak in places, and the hike follows a dirt road for 2 miles. Nonetheless, this is a excellent loop hike.